The new pure white design is accented with silver magnetic metal plates, offering another option besides the intense combination of black & red. 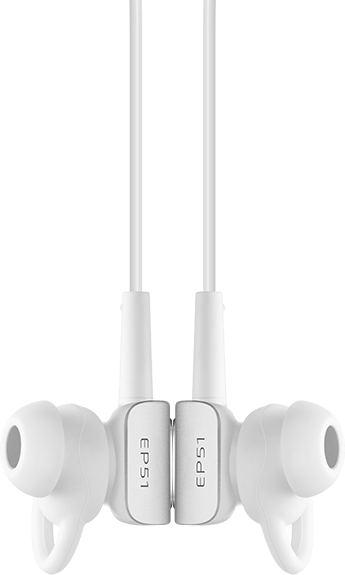 Unlike normal earphones that yellow gradually with use, the white EP51 earphones maintain their brightness thanks to the latest polyether-type TPU material, which is strongly resistant to UV, yellowing, and stains, and is outstandingly soft (*level 5 is the best out of level 1-5). The balance between technology and experience is critical for sports earphones. EP51 can be divided into three materials: silicone, ultra-light plastic, and aviation-grade aluminum. These lighten each earphone to the weight of a small coin. Wearing such light earphones guarantees unprecedented comfort. Equipped with the CSR Bluetooth chip well-known for high stability and connectivity, EP51 supports Bluetooth 4.0. The transmission distance is 10 m, freeing you from the burden of carrying your phone. 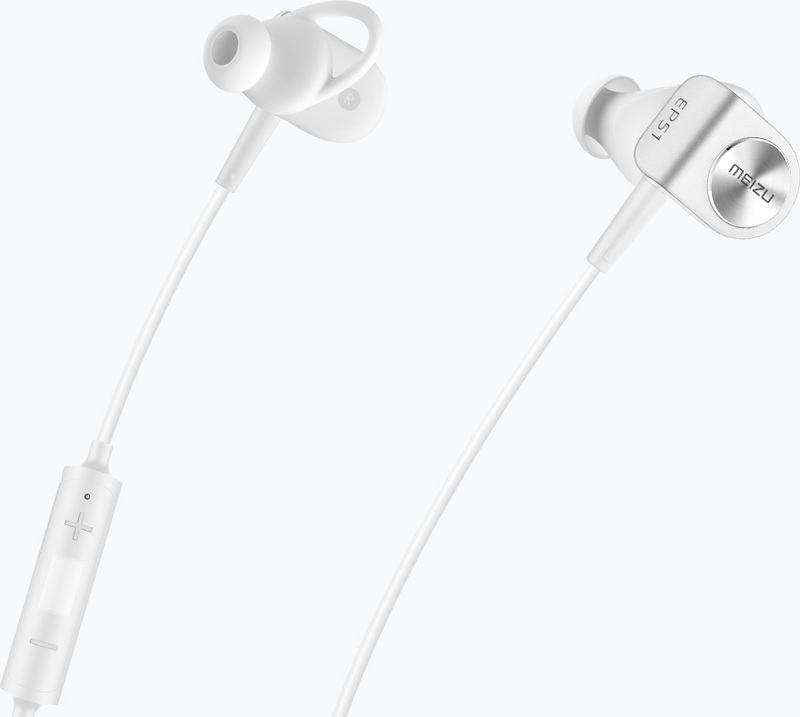 The waterproof nano-coating and special waterproof design protect EP51 from water and sweat, which tend to corrode earphones, so you can enjoy your favorite tunes worry-free. * For your safety, avoid outdoor sports on rainy days. The black & red combination accented by silver metal plates is lively and intense. The one-piece body is made of ultra-light aviation-grade aluminum processed by CNC and then a hardening process to ensure durability. You need strong rhythm, beats, and passion. EP51 integrates HiFi micro-speakers, a unique audio cavity structure and DSP digital signal processing technology, which delivers stable bass, clear middle, and broad treble. In addition to precision music playback music, the earphones deliver a wide field of sound with constant power and energy. Moreover, the Apt-X digital audio compression algorithm improves acoustic performance and maximizes the listening experience. * Apt-X needs players that support this technology. Thanks to the magnetic design, you can easily wear the earphones on your neck as a stylish accessory when you’re not using them. The antiallergic and anti-drop silicon ear tips have four size options and are ergonomic and comfortable to wear. The high-intensity KEVLAR material improves the tensile strength of EP51. The OFC high-purity cable cores feature outstanding conductivity and are wrapped by soft and skin friendly TPE material. The omni-directional high-sensitivity microphone ensures smooth and clear communication. The wire control is compatible with Android and OS systems.